The Viper 5XR has the highest power to weight of any hovercraft in its class while maintaining a strong durable design. This model has exceptional responsiveness, stability and overall performance. The Viper 5XR is made from Carbon Fiber and further reinforced with ballistics grade Kevlar. Only the best high end fabrication techniques and resins are used throughout the manufacturing process. The Viper 5XR features plenty of exposed carbon fiber while still maintaining a durable, high quality gel coat finish where necessary. 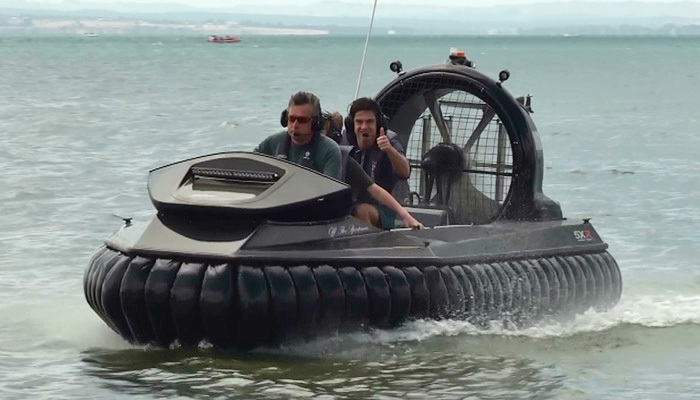 The Viper 5XR hovercraft is fitted with worlds best 100hp, 3 cylinder, water cooled two stroke engine. This engine is commonly used in small helicopters and light aircraft. 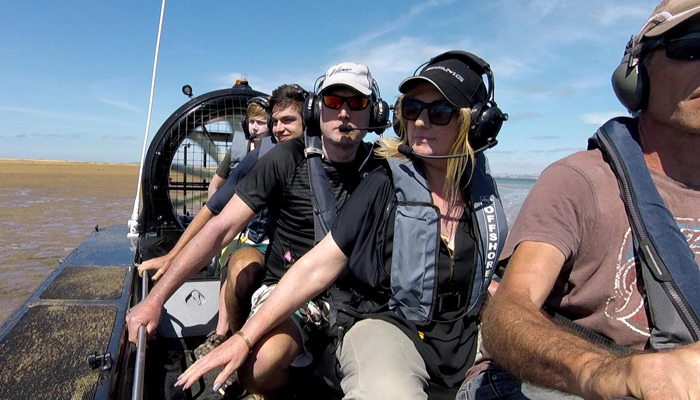 This engine is the most suitable 100hp two stroke engine on the market for small hovercraft. The engine is light, quiet, efficient and has exceptionally long engine life. Like all our models, the Viper 5XR is easy to fly and requires very little power to maintain cruise speeds in windy and choppy conditions.